The California Endowment’s (TCE) School Health Data Team (SHDT) provides youth-focused research, data, and policy-related support of TCE’s efforts to improve the health and well-being of all Californians and within 14 diverse, low-income TCE-funded Building Healthy Communities that are among the most impacted by health inequities. The SHDT — composed of WestEd, Children Now, and Forward Change — works with TCE’s internal Learning and Evaluation Team to determine how youth in the state and BHC Places are progressing in meeting the Endowment’s North Star Goals and Indicators. The main focus is on how well schools, communities, and state agencies are doing in reducing disparities in health, education, discipline, and juvenile justice; fostering school and community engagement among youth; and ensuring that all youth have the conditions, supports, and opportunities they need to thrive. A major source of data for the work of the SHDT is the California School Climate, Health, and Learning Surveys (CalSCHLS). CalSCHLS is the largest, most comprehensive state effort in the nation to assess students, staff, and parents at the local level on a regular basis to provide key data on school climate and safety, learning supports, barriers, and stakeholder engagement, as well as youth development, health, and well-being. Developed by WestEd for the California Department of Education (CDE), these surveys grew out of the CDE’s commitment to helping schools promote the successful cognitive, social, and emotional development of all students and create more safe, supportive, and engaging school environments for students, staff, and parents. CalSCHLS is comprised of three surveys: (1) the California Healthy Kids Survey (CHKS), (2) the California School Staff Survey (CSSS), (3) and the California School Parent Survey (CSPS). With funding and support from TCE, a BHC Module (BHCM) that can be used by any district was developed for the CHKS by WestEd, in collaboration with the SHDT. Districts that have schools within BHC Places are provided incentives to include their modules in their CHKS administration. The BHCM supplements the CHKS Core Module with more information in two primary areas: (1) adolescent health and health care, including use of school-based health centers, the quality of school food service, and physical activity; and (2) community environment and conditions, including indicators of youth safety, perceived problems, law-enforcement relationships, developmental supports, connectedness, and engagement. Together, the CHKS Core and BHCM provide data to guide school and community efforts to address trauma and health and educational inequities, and to promote resilience, healthy development, social justice, and learning. WestEd generates reports of survey results for each BHC Place and offers technical assistance to BHC stakeholders on understanding and using the data to identify and meet the needs of youth. For more information on the CalSCHLS survey, please visit: https://calschls.org/. Local and state results can be viewed online through Query CalSCHLS and CalSCHLS Data Dashboard (visit: https://calschls.org/reports-data/dashboard/). TCE has funded the SHDT to provide stakeholders with technical assistance at no cost, to support the stakeholders in BHC Places in understanding and using CalSCHLS and other data to guide decision making in meeting local objectives and TCE North Star Goals and Indicators. The SHDT can also provide guidance on (1) how to address identified needs and develop action plans; (2) conduct additional data analyses, and (3) prepare reports on topics of interest. Please see the examples of technical assistance and trainings below to learn more about what the School Health Data Team can offer. The School Health Data Team also provides annual, specialized BHC Place reports and other regular reports, which you can view in the Tools and Resource Section. Please fill out the request for technical assistance form if you have questions, need assistance with a resource or to request technical assistance. To identify and prioritize pressing local needs, the Team works with you to analyze data. With timely data analyses you can: (1) better target programmatic efforts, (2) raise awareness, and (3) develop action plans to meet the needs of students using evidence-based practice. To support local, regional, or statewide advocacy, strategy, and planning efforts, raise awareness of the issues impacting children and youth, the Team works collaboratively with staff and stakeholders to use data to create customized, timely, and engaging policy briefs and factsheets. WestEd facilitates discussions among students, parents, and school staff designed to elicit Student Voice, foster stakeholder collaboration and commitment, inform school and community policies, and improve school climate. This includes the valuable practice of “Student Listening Circles” in which adults hear what youth have to say and then collaborate with them on a plan to meet their needs. To inform community members and deepen their appreciation of the most pressing needs of children in the community, Children Now creates customized presentations measuring children’s well-being. Drawing upon the California County Scorecard, Children Now is able to depict well-being across counties, over time, and by race and ethnicity. 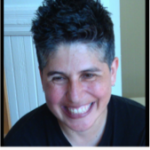 Lori M. Nascimento is a Senior Learning and Evaluation Manager at The California Endowment. She develops strategies and manages a diverse portfolio of learning and evaluation grants and contracts to contribute to TCE’s culture of learning, knowledge translation and dissemination. 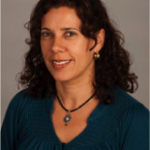 Lori currently manages TCE’s learning and evaluation investments in the areas of ACA/Prevention, Sons and Brothers, Schools Health, and Power Building strategies, and has over 25 years’ experience working towards positive community health change. Lori serves as the TCE Liaison to the School Health Data team. Lori has a BS in Psychology from University of California, Irvine, and an MPH from the Rollins School of Public Health at Emory University in International Health. 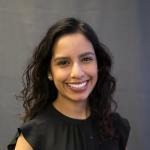 Elizabeth Rocha is a Learning and Evaluation Program Associate at the California Endowment. In this role, she evaluates The Endowment’s strategic investments supporting the successful implementation of the Affordable Car Act and other prevention-oriented learning priorities along with working on their associated grants and contracts. Elizabeth earned her Bachelor’s in Public Health with a minor in Global Poverty and Practice from UC Berkeley and holds a Master’s in Public Health from UCLA. 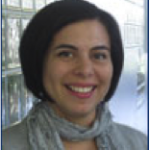 Rebeca Cerna is a Senior Research Associate in the Health & Justice Program (HJP) at WestEd. She has served as an evaluator, trainer/coach, and facilitator for multiple projects targeting public health, wellness, school climate/culture, stakeholder voice, data use, and adult education. She provides leadership and coordination to the SHDT team including the project management of WestEd research, publications and TA. She received an MPH in community health from the University of California, Los Angeles and a BS in Health Science in school health education. She is bicultural and bilingual in Spanish. Gregory Austin serves as Senior Program Advisor of WestEd’s Health & Justice Program, which works with schools, families, and communities to promote positive youth development, academic achievement, health, and well-being. Austin co-directs the California Healthy Kids Survey (CHKS) project, designed to provide assistance to every California school district in collecting and using data on health-risk behavior and youth assets. This California Department of Education-funded survey has led to a better understanding of the relationship between students’ health behaviors and academic performance, and is frequently cited by state policymakers and in the media. He received a BA and an MA in history from the University of California, Riverside, and a PhD in history from the University of California, Los Angeles. 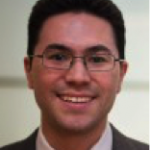 Johnathan Nakamoto is a Research Associate at WestEd. Nakamoto develops and manages the sampling plans, research designs, and data analysis strategies for a number of evaluation and research projects. He uses experimental and quasi-experimental research designs to evaluate the impact of a range of education interventions. Barbara Dietsch is a Senior Research Associate for WestEd’s Health and Justice Program, Barbara Dietsch has developed, implemented, and evaluated programs targeting adolescent health behaviors, with an emphasis on the predictors of substance use, early sexual activity, and other associated high-risk behaviors. Dietsch has a BS in Home Economics, a MA in Home Economics in Nutrition and Business, and a PhD in Preventative Medicine/Health Behavior Research from the University of Southern California. 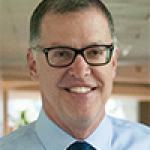 Tom Hanson is the Director of the Health & Justice Program at WestEd. 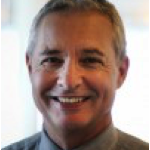 Hanson also co-directs the California School Climate, Health, and Learning Surveys (CalSCHLS) for the California Department of Education, designed to measure school climate and other outcomes from students, staff, and parents. Hanson conducts rigorous research on the effectiveness of programs, products, and practices intended to improve student outcomes and is a lead methodologist for several studies examining the impacts of education interventions. Hanson received a BA in sociology from Old Dominion University and an MS and PhD in sociology from the University of Wisconsin, Madison. 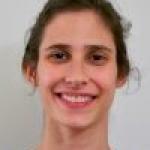 Alexis Stern is a Research Associate in the Health and Justice Program and for the at WestEd. She contributes research, writing support, and project management to projects focused on school climate, student safety, and juvenile justice. Alexis holds a BA in anthropology from and a Master’s degree in urban education policy from Brown University. Tia Elena Martinez is Principal and has over 25 years experience doing social change work in low income communities in the United States. She is currently an independent consultant doing work on dismantling the school to prison pipeline and transforming life chance for boys and men of color. Tia has an AB in History from Harvard University, a Master in Public Policy from the University of California, Berkeley Goldman School of Public Policy, and a JD from Stanford Law School. 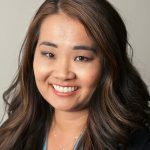 Stacy Lee is the Managing Director, Early Childhood Project Integration, providing strategic advice on statewide policy development for the prenatal to age 3 population, early education and child care policy and for key research projects. She oversees project management for the SHDT team; develops presentations to effectively communicate SHDT reports and data products; and develops and contributes to policy and data reports with the team. Ms. Lee holds a BA in Geography with a focus on Urban and Regional Development and a minor in Asian American Studies from UCLA. She also holds an Executive MBA from the Drucker School of Management at Claremont Graduate University. Kelly Hardy directs and supervises the organization’s research and health policy areas. She leads the development of the California County Scorecard of Children’s Well-Being an interactive, online report that delivers a current and comprehensive picture of children’s health, education, and welfare in every one of California’s 58 counties. This report provides county-level data mapping, tracking key indicators of child well-being across counties, over time, and by race and ethnicity. Ms. Hardy earned her MPP and MPH at University of California, Berkeley and a BA in Psychology with a minor in Women’s Studies at Johns Hopkins University. She serves on the Family Voices of California advisory committee. Ashley De Alba supports senior staff on Children Now’s research and operations teams. 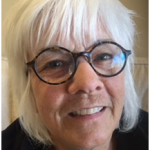 She provides research, analytic, and project management support to ongoing research publications including the development of the California County Scorecard of Children’s Well-Being and for the SHDT team. Mrs. De Alba holds a B.S. in Human Development and a Minor in Sociology from the University of California, Davis.